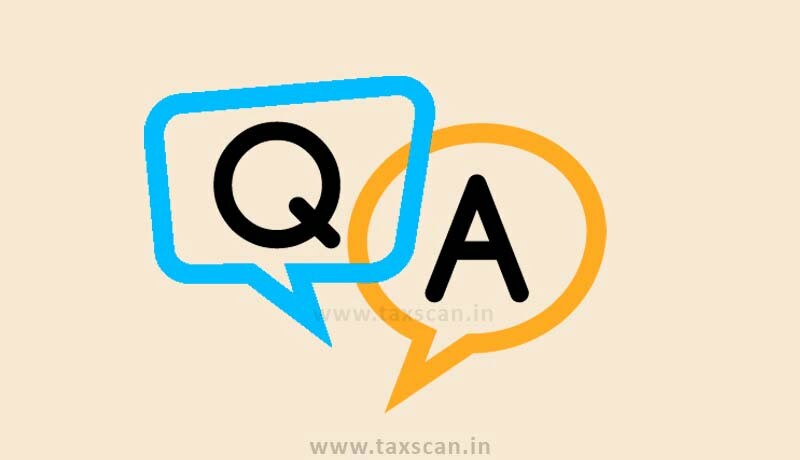 Q: The last date for filing Income Tax Returns is 31st July 2017. What if I miss the deadline? Can the Department initiate penalty proceedings against me? Ans: No. the Government had recently clarified that the proposed penalty for delayed filing of income tax return kicks in from next year and is not applicable for returns filed for FY16-17. Q: I have a fourstar hotel with a/c rooms and without bar three category rooms. Room rate is Rs. 2200/- and extra bed is Rs.500/- total is Rs2700/- what will be the GST rate? I wanted to know whether different tax is applicable for each categories ? Ans: A flat 18% GST is applicable to all tariffs. Recently, the Government had clarified that accommodation in any hotel, including 5-star hotels, having a declared tariff of a unit of accommodation of less than INR 7500 per unit per day, will attract GST @ 18%. Star rating of hotels is, however, irrelevant for determining the applicable rate of GST. Q: I am a service provider with with turnover of less than 50 Lakhs turnover. Am I eligible for Composition Scheme? Ans: Service providers except restaurants /caterers are not eligible for composition scheme.